In case we've never met, I'd like to introduce myself to you. 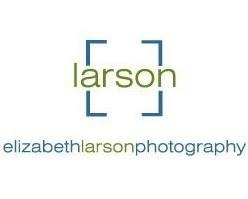 My name is Elizabeth Larson and I've been a professional photographer since 1990. It's hard to believe that much time has gone by - and I've loved every minute of it! My first camera was a Kodak Instamatic when I was about 12 given to me by my father, who is a photojournalist and travel writer - he was and still is my inspiration! While I was a student, I began to get serious about photography and my camera of choice then was a Pentax K1000, which I used for several years until I inherited my grandfather's Leica CL when I was in my early twenties. I still have that camera and my K1000 too, though I now work in digital capture. Originally starting my business in my hometown, Charlottesville, Virginia, I currently reside in the beautiful North Carolina countryside between Greensboro, NC and Danville, VA. Weddings, portrait sessions, assignments, friends, and family often bring me back to Virginia. I will travel anywhere & am available for destination weddings and out-of-town assignments. In recent years, I've discovered that I really love teaching photography. I offer local photography workshops from time to time and then about every 12 to 15 months, I teach a photography workshop at the prestigious John C. Campbell Folk School in Western North Carolina. I will be teaching a class there November 17th-22nd, 2019. In addition I'm available for mentoring and one-on-one instruction locally. Other than photography, I also enjoy gardening, cooking, kayaking, camping, traveling, collecting art, creating art, journaling, attending live music shows & festivals. And of course spending time with my life partner, Terry, and our four fur babies. Please contact us for additional information - looking forward to hearing from you!